What About Time & Attendance Around Europe? In the German Working Time Act, employees are allowed to work a maximum of 8 hours per day and 48 hours per week. Any work that has been performed after the 8-hour mark must be documented and kept for a minimum of 2 years. These hours might be inspected by assigned authorities depending on the situation. Employees are not allowed to work for more than 10 hours per shift. After working for 6 hours, employees are entitled to a 15-minute break. Employees who work 9 hours must have a 45-minute break. These breaks are not included in the working hours. Employers are legally obligated to document the working hours of their employees. They can either register the information on a hard-copy or via software. If employers choose to register working hours digitally, their server must be located in Germany. The following information needs to be filed: date, the name of the employee, start and end of a workday, amount of working hours, labor, and employee signature. It is suggested that employees keep written notes of their working hours and breaks. Their boss, supervisor or colleague can sign these notes in case of a dispute. If an employer does not comply with these regulations, he could be fined up to 15,000.00. Euros. In general, time & attendance software is being used in Germany to calculate the working hours of employees. 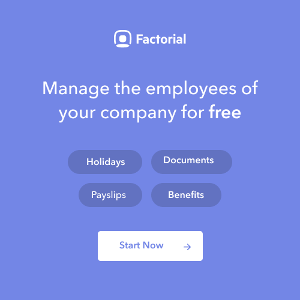 This software does not only work to determine paid hours, but it also controls whether employees are working their nominal minimum hours. The business obligations of time & attendance vary according to the situation in France. It is necessary to distinguish workers whose working hours are calculated in hours (weekly, monthly or annually) and workers who work according to a contract subscribed for a specific number of days (forfait annuel en jours), according to which the working day of the worker is calculated on days worked per year (up to a maximum of 218 days) and not hours. In all cases, the worker can access any control document by exercising their right of access to their personal data. In case of litigation, the worker must provide the court with information that justifies the hours he has actually worked. Instruments allowing worker’s control (like video cameras). Prior syndical agreement or administrative authorization. Working instruments (personal computers, smartphones…) and time & attendance registration systems. In both cases, the instruments can be used for all the purposes related to the working relationship. What’s the only condition? Adequate information about the modality of instruments’ use and control realization (respecting the employee’s privacy). In the Netherlands, the Working Hours Act has been put into place to determine the working hours and breaks of employees. These regulations protect employees who are eighteen years and older. Separate rules apply to employees who are (below) 16 and 17 years old. An employee is allowed to work a maximum of 60 hours per week. A shift can last no longer than twelve hours. After work, employees must have eleven hours of non-work time. This time may be shortened depending on the circumstance. Furthermore, employees are entitled to breaks. While regulations vary between different sectors, one rule remains the same. All employers in the Netherlands are obligated to keep a record of time and attendance of their employees. These records must include all working hours, breaks, vacation days and sick leaves. There are no specific requirements when it comes to the documentation of time and attendance. Employers can choose their own method of registration as long as the labor inspection can control if the employer complies with the working time regulations. Additionally, all employees must have insight into their own time records. The time and attendance records of employees must be kept for a minimum of 52 weeks. Companies who do not register time and attendance will be fined. These fines could vary from 100 euros to 10.000 euros per employee. Most employers let employees keep track of their working hours. However, research has shown that employees view this task as a chore and therefore put it off. Once employees take their time to update their working hours, they often rely on their memory, planner, email history and notes. This system is not reliable. In fact, it increases the possibility of making mistakes. Companies who do have a system in place, often use software that is outdated or not suitable to register time and attendance. This causes the process to become inefficient and cumbersome. Additionally, the use of inadequate software reduces the benefits of time and attendance tracking. In Norway, many businesses and employees agreed that the sign in and out system has helped define the line between working life and personal life, allowing you to get better focus when starting work through the physical click of a button and knowing that you have now started your working day. Same thing, but reversed, happened at sign out. An acknowledgment that now I have finished work and can relax, without the obligation to answer work-calls or emails helped people enjoy their time-off more. Employees also appreciated that the sign in and out system would ensure that everyone got paid correctly, in particular regarding hourly wages and overtime. And speaking of pay, the time and attendance regulations have improved and eased the processing of salaries. Especially with digital signing, as the hours worked are always correct and in turn, makes salaries correct. With a digital T&A system, you can easily export the hours worked for each staff member to your salary system. It’s unnecessary to mention that this has saved business-owners a lot of time, money and head-scratching when it comes to paying out salaries. Scandinavians are known to be passionate about work-environment, equality and the rights of the individual, so from an HR perspective, the time & attendance system also allows you to ensure that no one works too much or too long days without enough rest. HR people live for this data when it comes to evaluations, as it will show if an employee always starts work 5 minutes late, while another always will stay and help out with extra tasks when needed. The HR department can then adjust and take action accordingly, with solid data entered by the employers themselves and therefore help avoid disputes. In the rest of Scandinavia (Norway, Denmark, Finland, and Iceland) similar methods have been put in place by the government, however not as extensive as the legal requirement of a personalliggare as in Sweden. It is however very important as a business owner or manager to follow the law on working hours, breaks and time-off, which is similar in all Scandinavian countries, as an abuse of this law could lead to hefty fines and even prison. Another common nominator for these countries is the general view on working hours, whether the time worked is recorded or not, employees tend to show up on time and leave on time not doing more or fewer hours than what their contract states. Some companies in Norway and Denmark have implemented a time-reporting system, not for ensuring staff turn up on time, but to be able to manage the working hours and ease the process of paying out salaries. (National Legislation, Law 59, Section 08, Chapter II, Section II, art. 125 – Registration). In Sweden, it has been a legal obligation for businesses of hospitality and beauty to report time and attendance in a so-called personalliggare, since 1st January 2007. A personalliggare is a book where all staff must sign in and out when they start work and when they leave. This law was initially established for the purpose of ensuring all businesses pay correct tax for labor, register all their employees and that the law regarding working hours is not abused. When business-owners was first notified of this new legislation they were reluctant to this change, since most were already using a way of time-reporting they saw fit for their own business. However, it has come to prove that this law helped both employers and employees to have better control over their working hours, reduced work-related stress and ensuring everyone received correct pay. Since the time reporting legislation came to place many time & attendance software have popped up on the market in the aim to ease this process for businesses. The systems have since then evolved and improved during the past 10 years, nowadays you will find many software offering the same product for varying prices and many companies are using a time reporting software for the many benefits it brings. Each employer has a legal obligation to document its employees’ working hours. The legal basis can be found in Art. 46 of the Employment Law (LTr) and Article 73 of Order 1 on the Employment Law. Companies must document the daily and weekly working hours of their employees. The employer must also calculate the worker’s days off, along with breaks of half an hour or longer. The breakdown of hours worked by employees must be retained by the company for a period of five years. Infringing this rule, several penalties are possible, ranging from a warning to a fine. In the most extreme cases of infringements of employment law, namely when employees’ lives or health are at risk, the law even provides for closing the company down. Although it is a big change for a business owner to go from manually tracking time for everyone to let the employees do this tracking themselves, it has been proven in Scandinavia and other parts of the Union that the implementation of this legislation has been a positive change. It benefits employers in regards to saving time and money, as they will already have all the information needed to calculate salaries without having to check every day that the employees arrive on time or be reminded of overtime. It benefits the employees, as it helps them to track how much time they’ve worked and ensure they get paid for any overtime. 5 minutes extra each day for a month can add up to a lot of money. In addition, many employees with fixed wage feel that the work-place becomes more equal, as it will show if a coworker on the same salary works less than themselves and gives a good ground for asking for a raise. And in the end, it benefits Human Resources, as it gives an accurate view of the staffs worked hours if anyone comes late or someone else is always the one who agrees to over-time. It has also helped reduced stress-related sick-leaves as this pattern can be stopped in time and things can get done.